The HPS is CAE Healthcare's top-of-the-line, fully automatic, high-fidelity patient simulator specifically designed for training in anesthesia, respiratory and critical care. What differentiates the HPS from any other simulator available on the market today, is it's high level of automatic and enhanced features. 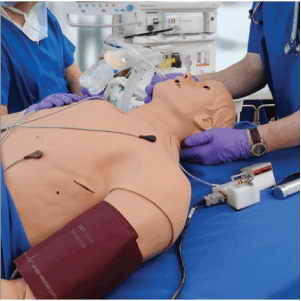 The HPS is the only patient simulator with the ability to provide respiratory gas exchange, anesthesia delivery, and patient monitoring with real physiological clinical monitors.